We are proud to work with a wide range of partners. They’ve helped us become the world’s most popular music and entertainment venue. O2 is a leading provider of mobile services, mobile phones and broadband to consumers and businesses in the UK and as title sponsor of The O2 we pride ourselves in being more than just a name above the door. We live and breathe the entertainment at The O2, from Lady Gaga to Les Miserables and the ATP World Tennis finals. We play our part in getting fans excited before, during and after the shows with artist activations, our YouTube channel and offering Priority Tickets to O2 customers 48 hours before everyone else. The O2 has been crowned the world’s finest entertainment venue for the last six years and as the leader in our own field – text, media messaging, music and video, as well as data connections via GPRS, 3G and WLAN – we’re the proud providers of your enhanced, connected experience at The O2, from free wifi to Priority offers. You may also have noticed our name is synonymous with some other iconic music venues across the country. We’re proud to sponsor 16 O2 Academy venues, all the way from the south of England to Glasgow. And it’s not just about music, with O2 Sports we work with the England Rugby team and a huge range of other sports stars to get you closer to the games you love to watch. AB InBev is the world’s leading brewer and one of the top five global consumer companies. In the UK we brew and manage a wide range of award-winning beers and ciders and employ nearly 1,000 people across our two breweries and local headquarters. We are proud to offer the UK’s leading premium beers including global brands Budweiser®, Corona® and Stella Artois®; international brands Beck’s®, Leffe®, and Hoegaarden®; and local champions Bass® and Boddingtons®. Our size is matched by our ambition. We are committed to building great brands that stand the test of time and to brewing the best beers using the finest natural ingredients. Through our products, people and investment in responsible drinking, the environment and community, we are excited to work toward our Dream: Bringing People Together For A Better World. Learn more at ab-inbev.co.uk or on Twitter through @ABInBevUKI_News. American Express Invites® unique relationships in the world of entertainment mean you can enjoy advanced tickets, VIP lounges, behind-the-scenes access and exclusive interviews from the worlds of music, film, theatre and sport. With American Express Invites, you can enjoy a rich array of experiences enhanced with thoughtful extras and special benefits to make them even more unforgettable. The Coca-Cola Company is the world’s largest beverage company, refreshing consumers with more than 450 sparkling and still brands. 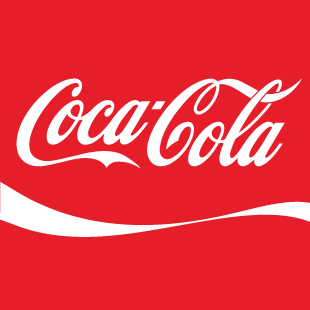 Along with Coca-Cola, recognized as the world’s most valuable brand, the Company’s portfolio includes 12 other billion dollar brands, including Diet Coke, Fanta, Sprite, Coca-Cola Zero, glaceau vitaminwater, Powerade, Minute Maid and Georgia Coffee. Globally, it is the No. 1 provider of sparkling beverages, juices and juice drinks and ready-to-drink teas and coffees. Through the world’s largest beverage distribution system, consumers in more than 200 countries enjoy the company’s beverages at a rate of 1.5 billion servings a day. With an enduring commitment to building sustainable communities, the company is focused on initiatives that protect the environment, conserve resources and enhance the economic development of the communities where we operate. DHL is the leading global brand in the logistics industry and is The Official Logistic Partner of The O2. DHL family of divisions offer an unrivalled portfolio of logistics services ranging from national and international parcel delivery, e-commerce shipping and fulfilment solutions, international express, road, air and ocean transport to industrial supply chain management. With about 350,000 employees in more than 220 countries and territories worldwide, DHL connects people and businesses securely and reliably, enabling global trade flows. With specialized solutions for growth markets and industries including technology, life sciences and healthcare, energy, automotive and retail, a proven commitment to corporate responsibility and an unrivalled presence in developing markets, DHL is decisively positioned as “The logistics company for the world”. Logic is a leading international e-cigarette brand whose Logic PRO device and capsules provide a quality smoking alternative to adult consumers in the growing UK e-cigarette sector. Logic is proud to be a partner of The O2, where it is available to buy on the arena concourses as well as online at www.logicvapes.com and in thousands of stores nationwide. Nestlé is the world’s leading Nutrition, Health and Wellness company. Nestlé employs more than 280,000 people and has factories or operations in almost every country in the world. Nestlé has around 7,000 employees across 19 sites in the UK and Ireland. We manufacture a wide range of brands in the UK, including many household favourites such as Nescafé®, KitKat®, Ski®, Carnation®, Shredded Wheat® and Herta®. As one of the world’s top 50 companies, we believe that sustainable development is fundamental to our long-term success and that our actions must be environmentally sound. Fiona Kendrick is Chairman and Chief Executive of Nestlé UK Ltd.
We have a portfolio of leading branded food and beverage products, including Nescafé, KitKat, Ski, Carnation, Buitoni and Herta. Nestlé’s first sales in the UK started in 1868, just a year after the company was founded. Nestlé opened its first UK factory in 1901. We play an important role in the UK economy. In several of the towns and cities in which we operate, for example York, Dalston and Girvan, we are among the region’s main employers. Nestlé UK Ltd’s Headquarters is in Gatwick, Surrey. Our York site is one of the world’s largest confectionery manufacturing plants and makes over a billion Kit Kats and 183 million Aero bars each year. Nestlé is committed to being a leader in reducing greenhouse gas emissions. Between 2006 and 2009 we reduced carbon usage by 11% and our target for 2015 is to reduce CO2 emissions by a further 20%. Nestlé has a long history of supporting community activities and charitable projects in the UK and Ireland. This year we launched a three-year partnership with Action for Children, with the aim of raising £750,000 between 2012 and 2015. Sky entertains, excites and inspires its customers with the most comprehensive multi-channel TV service in the UK and Ireland. Almost one in three homes enjoy its movies, news, entertainment and sports channels. And through its great value Broadband and Talk services, Sky helps people connect with each other and the world. Sky is also committed to doing the right thing. Through its Bigger Picture initiatives, Sky is working to tackle climate change and by joining forces with WWF, is helping to save 1 billion trees in the Amazon. Sky encourages sports participation through SkyRide, its cycling campaign, and in schools with Sky Sports Living for Sport, whilst also bringing the arts to more people through support of the Hay Festival, English National Ballet and live art event producers Artichoke. Artichoke is a registered charity founded in 2002. SkyArts are their principal Sponsor. The exclusive ticketing partner for more than 50 venues in North America and Europe, including some of the largest UK venues and festivals, from The O2 and The SSE Arena, Wembley to British Summer Time at Hyde Park. We offer our customers great exclusive features, including the AXS waiting room, where you can fill in all your purchasing details before the on sale opens. Another feature is the opportunity to book your ticket and invite your friends – reserving them seats and the opportunity to join you. For a great array of shows with an easy ticket buying process and great customer service –www.axs.com is THE place to purchase your tickets for the next great show! ABM Group UK is one of the leaders in facilities, critical and technical service provision in the UK, delivering first class cleaning, security, technical and integrated facilities services to retail, commercial, public, critical, financial and the sports and leisure industries. With national delivery and 24/7 service, we have provided localised, trained resources with strong management backing for over 30 years. Aside from the core entities of ABM Facilities Solutions, ABM Critical Solutions and ABM Technical Solutions, we are also joined by Blackjack Promotions who provide customer service architecture offerings within the retail sectors. As a specialised division, we have taken their expertise and fed it through our other service offerings within dedicated training and engagement programmes. ABM, our American parent company, has been running for over 100 years, and has an annual turnover of $6bn globally. A proven and respected global facilities player, ABM are able to provide a suite of capabilities including resourcing, capital investment, technical support and specialised customer focus training. We believe that our customers benefit from this global reach and gain even deeper industry and operational expertise, a broader set of services and solutions, and a single-source provider that has expansive geographic coverage. We have a ‘one team’ approach delivering streamlined management and economies of scale to provide highly effective and competitive service offerings. The £5bn comprehensive regeneration of the 190 acres of Greenwich Peninsula to create a new riverside community for London is being led by Greenwich Peninsula Regeneration Limited together with English Partnerships and Greenwich Council. Over the next 15 years, 10,000 new homes and 24,000 permanent jobs will be created, alongside open spaces, leisure, improved transport, shopping and amenities. AEG is responsible for building and operating The O2 and the surrounding areas as part of the first major development in the peninsula.